Oil Rubbed Bronze Clear Orion Clear Curved Bathtub Door 34 inch by 58 inch 5/16 inch glass is rated 4.2 out of 5 by 58. Rated 5 out of 5 by Cuddles808 from Solid, beautiful door! We renovated our master bath and added a shower to our 42” x 72” whirlpool tub. We bought this door because it looked very nice and would be less intrusive while taking a bath. We could not be more pleased. This is a very sturdy door and we expect it to last us a long, long time. Rated 5 out of 5 by Laura from Beautiful, great quality.... Beautiful, great quality. Rated 5 out of 5 by Kamelc from Perfect Put this door up 3 weeks ago and it is exactly what we wanted! 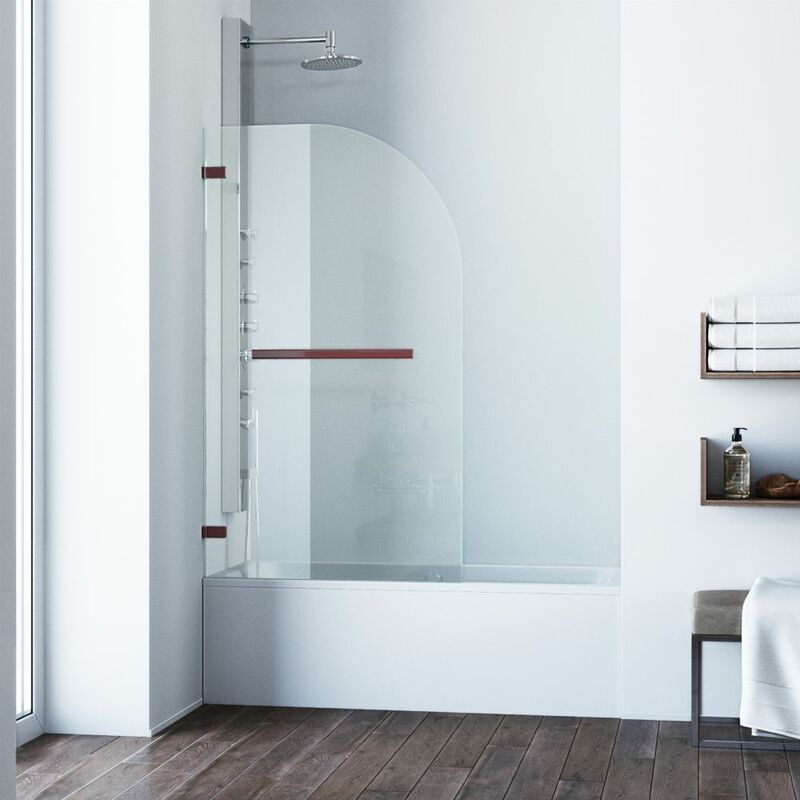 No metal frames makes it easy to keep clean and opens up the shower and room!! Rated 3 out of 5 by Bill23 from Nice Look The door has no adjustment for a un plumb wall Is OK for a shower that sprays straight down. The price was very reasonable. Rated 4 out of 5 by pinky from I like the look of this in my bathroom with... I like the look of this in my bathroom with the curve glass. But, it does have some issues.My husband use the rain shower and he say he can not blast the water, otherwise the water will plash into the floor and side of the glass. So, if you enjoy the rain shower, better get something else.